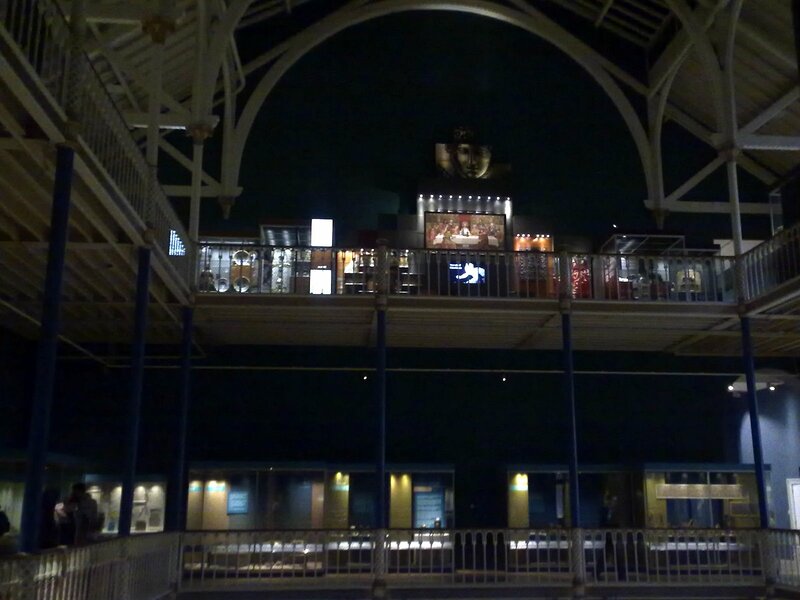 A few Saturdays ago, we had a trip over to Edinburgh to visit the newly revamped National Museum of Scotland. It has certainly changed and in some ways feels as if it has been pulled from the Victorian era straight into the 21th Century. I hadn't taken my camera with me, and these are all from my phone, so sorry for the lower quality images, but I wanted to share some of the things I liked. 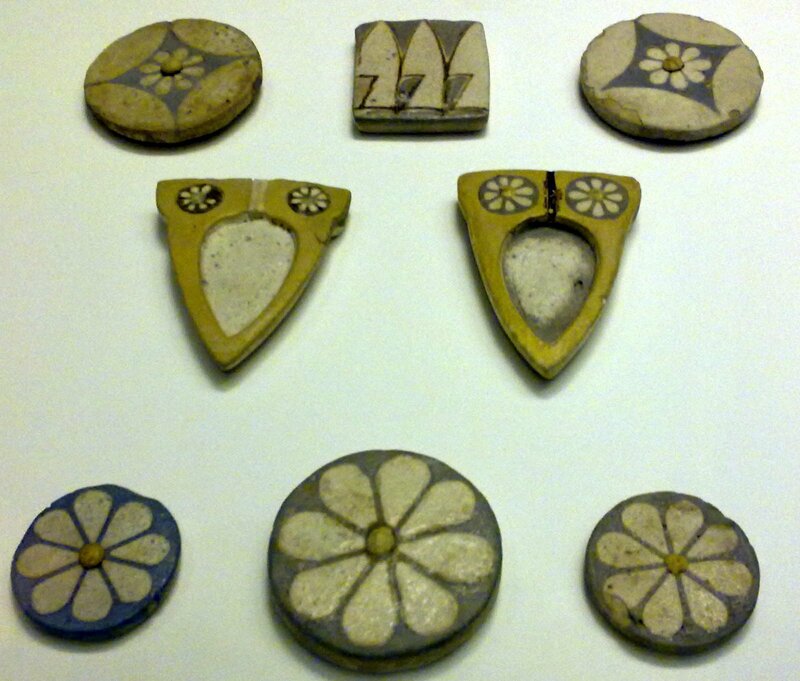 These little items above look a bit like buttons, but apparently they were used to decorate the interiors of Egyptian houses about 3,000 years ago. To me, they still look really fresh and I could see the patterns being used in art today. 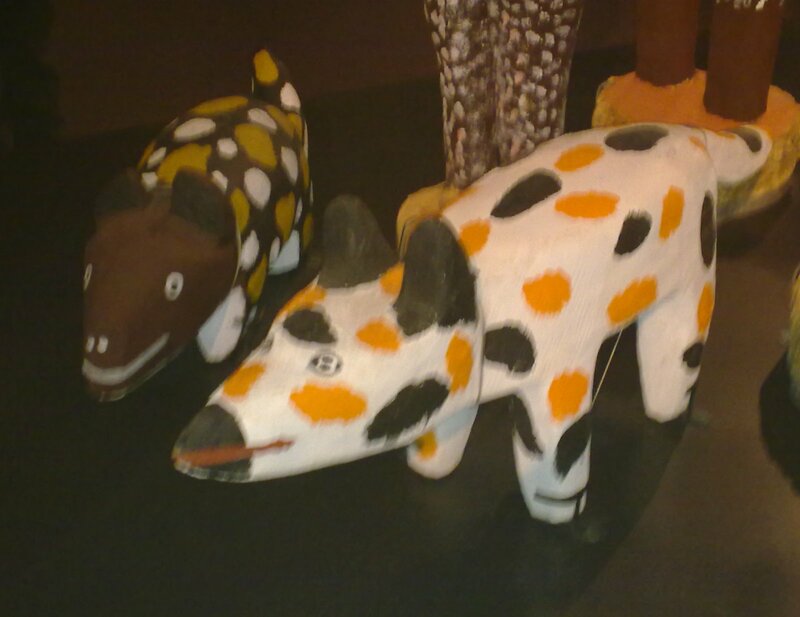 These dogs are part of 'Night Time Dreaming' by Australian artist, Wally Pwerle. 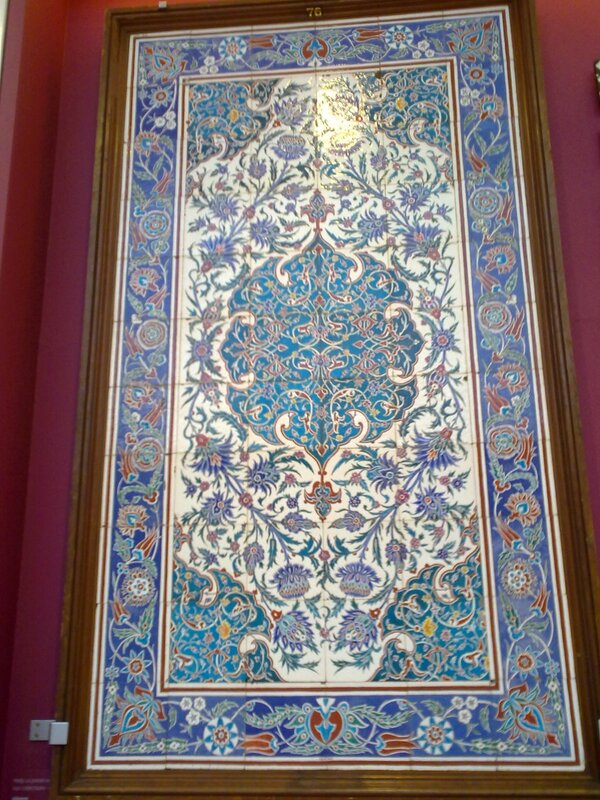 I am a sucker for Islamic tiles and this piece was fantastic. Much of the museum remains unchanged, although the fishes have gone from the main courtyard, which is a terrible shame! They were my favourite thing at the museum when I was a child. However, the galleries and structure apart from the fish ponds looks unchanged. The children made me go and visit the Space room, which is an area I generally avoid in museums. However, I found it fascinating and really enjoyed a short film about the Big Bang, which said we are all made of stars. I like that idea, being full of stardust. 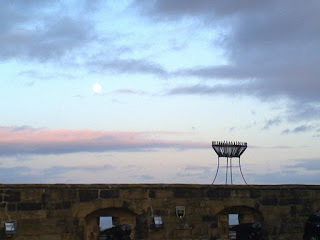 Although the kids enjoyed the museum and want to go back, their attention span is limited, so we finished up at the Castle. It was bitterly cold, but the sunset was amazing. This a photo from the top as there was a beautiful and large full moon. Given the poor camera though, this becomes like the old game of 'spot the ball' - the moon is there in the top left quadrant. The Museum is having an exhibition of Egyptian Mummies soon, so hopefully we can have another trip there soon. We had lunch at the fabulous Fruitmarket Gallery cafe and caught the closing days of the Bill Bollinger exhibition. The kids were totally relaxed with the 1970s minimalist art work. And I enjoyed watching the gallery attendants smirk at the visitors attitudes to seeing a piece of rope on the ground as the art work. 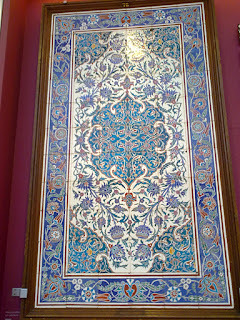 As to the art work itself, I admit I struggle with it, especially as my practice is so labour/craft intensive! So all in all, a great day out and it is good to remember that we have such fabulous places so close to home. Normally, I avoid the temptation of showing cute photos of my little monsters on this blog as they aren't entirely relevant to my work; they only contribute to the lack of it! However, when we found our daughter last night curled up asleep on the chair on the landing rather than in her bed, wrapped up in the little quilt I made, I couldn't resist it. It's goodto share how my art works are used! Rather than do useful things leading up to Christmas, like get organised, make art or blog, I decided to make the family slippers for Christmas, using a pattern I had seen in Making magazine. Amazingly, they all fit and the kids are enjoying sliding on our wooden floors whilst wearing them. I used a piece of over-felted felt for the soles, so hopefully they will last as long as the kids are their current shoe size. It was nice to make something practical for once, although it would have been more practical to actually buy them and use my time more productively. I think the same could be said for the fudge made as gifts for teachers. It tasted great, but took ages and my pan still hasn't recovered from the burnt batch...!